In 1978, an incredible incident allegedly took place in New Jersey, USA, which has somehow evaded both the attention of many UFO researchers and the mainstream community alike. Two adjacent military bases Fort Dix and Fort McGuire played host to an incredible extraterrestrial and UFO encounter. UFOs were sighted flying over the bases during the early morning hours of January 18, and shortly afterwards Air Force security patrol were ordered to the back gate of McGuire AFB to allow entry to New Jersey State Police who were searching for something, but what? State trooper Sgt. Jeff Morse (pseudonym) was one of the airmen on duty and was told that a Fort Dix MP was pursuing a low-flying object that had hovered so close that it was actually just above his car. Then according to the MP a small being with a large head and slender body appeared in front of his car, causing him to panic and shoot the alien several times with a .45 automatic. The being then fled over the fence which separates the two bases, before collapsing on the deserted runway and dying. The body was found lying on the runway by Morse and his colleagues before other “blue beret” forces unfamiliar to Morse and his companion took over once Morse had followed the routine procedure of cordoning off the area of the “crime scene”. The information that follows is taken from the MUFON Symposium Proceedings, “THE FATAL ENCOUNTER AT FT. DIX-McGUIRE: A CASE STUDY; Status Report IV.” by Leonard H. Stringfield. Never once, as Morse recalls, did any of the interrogators offer information or an explanation of the incident. Nor did anyone ever refer to the retrieved dead body or suggest that it may have been of extraterrestrial origin. Said Morse, “they beat around the bush, all references to it were indirect.” The day after the interrogation, Morse returned to McGuire, was debriefed by his Commanding Officer, Lt. Col. FM, and released for normal duty. The incident, he said, was not discussed again by anyone as though it never happened. Morse was debriefed by his commanding officer, a lieutenant colonel shortly after returning to McGuire AFB and heard no more about the incident. But it wasn’t long before each of the airmen who had been involved was transferred to a separate overseas base. Morse was shipped to Okinawa, Japan. Morse was within 40 to 70 feet from the dead body on the abandoned runway #5 at various times during his patrol duty but was never close enough to observe details such as facial features, or its hands and feet. However, under the glare of truck headlights, Morse did recall seeing the skin of the naked hairless body which he described as being wet, shiny, and snake-like. As reported in his initial letter, the entity was about 4 feet in height with a large head, slender torso, thin arms and legs, and overall, of greyish-brown colouration. The humanoid which was not human, seems to fit the anatomical description so often heard from military sources who have made claim to having seen entities at crash sites in the past and most likely fits the Zeta-Reticulan model commonly referred to as the Greys. 1. In January of 1978, I was station at McGuire AFB, N.J.. One evening , during the time frame of 0300 hrs. and O500 hrs., there were a number of UFO sightings in the area over the air field and Ft. DIX Army camp. I am a security policeman and was on routine patrol at the time. N.J. State Police, and Ft. Dix MP’s were running code in the direction of Brownsville, N.J.. A state trooper then entered Gate #5 at the rear of the base requesting assistance and permission to enter. I was dispatched and the trooper wanted access to the runway area which led to the very back of the air field and connected with a heavily wooded area which is part of the Dix training area. He informed me that a Ft. Dix MP was pursuing a low flying object which then hovered over his car. He described it as oval shaped, with no details, and glowing with a blueish green color. His radio transmission was cut off. At that time in front of his police car, appeared a thing, about 4 ft. tall, greyish, brown, fat head, long arms, and slender body. The MP panicked and fired five rounds from his .45 Cal into the thing, and one round into the object above. The object then fled straight up and joined with eleven others high in the sky. This we all saw but didn’t know the details at the time. Anyway, The thing ran into the woods towards our fence line and they wanted to look for it. By this time several patrols were involved. 2. We found the body of the thing near the runway. It had apparently climbed the fence and died while running. It was all of a sudden hush-hush and no one was allowed near the area. We roped off the area and AF OSI came out and took over. That was the last I saw of it. There was a bad stench coming from it too. Like ammonia smelling but it wasn’t constant in the air. That day, a team from Wright-Patterson AFB came in a C-141 and went to the area. They crated it in a wooden box, sprayed something over it, and then put it into a bigger metal container. They loaded it in the plane and took off. That was it, nothing more said, no report made and we were all told not to have anything to say about it or we would be court-martialed. 3. I will be getting out of the air force in about two months. Do Not disclose my name as I could get into trouble. I am interested in pursuing this and other matters if you need help. Forgive me for not signing this but I can’t take any chances. Please reply to the above address and my parents will forward it to me or I will be home already. Don’t send it here because they monitor all mail closely and I again don’t want to take any chances. Another military figure has come forward in connection to the remarkable incident in New Jersey, but he has been brave enough to use his actual name. Major George Filer now retired (see image above), who was also stationed at McGuire AFB in 1978 was serving as an intelligence officer at the time of the incident and although he was not on duty that morning, he was witness to a lot of unusual activity and he heard talk about the “alien body” the following morning. Discussing the case with Dr. Steven Greer for The Disclosure Project, Filer said “This particular morning, when I went into the command post, I was met by the head of the command post, and he said that it [had] been a very exciting evening – that [we’d] had UFOs over McGuire all night, that one had apparently landed or crashed at Fort Dix, and that when a military policeman came upon the alien, that he had pulled out a gun and shot him.”He told researcher Richard Hall “Our security police went out there and found him at the end of the runway dead. They asked me to brief the general staff,” but was later told not to. In Greer’s book Disclosure, Major Filer continued, “The security police were out there and had captured the body, so to speak, and were guarding it. He said that a C-141 from Wright-Patterson was coming in to pick up the body. That made me stand up, because I didn’t realize that Wright-Patterson had C-141s.” Filer was then told by his superiors that “We want you to brief us at the standup general briefing this morning and explain what happened to everybody”. Filer is not new to UFO sightings either. He also chased a UFO over England when flying for the U.S. Air Force. “I didn’t believe in UFOs until London Control called us in the winter of 1962 and asked us would we chase one? So we said sure.” Since that day he has maintained an interest in the subject, claiming that “I personally have observed a UFO both visually and on radar. I’ve been chasing them ever since,”. Despite the apparent lack of physical evidence to legitimise this particular case, it is certainly consistent with other stories of a similar kind. The secrecy, the threats, the involvement of Wright-Patterson AFB once again as the site to house and conceal extraterrestrial bodies and craft. To delve deeper into this case click HERE to read Leo Stringfield’s investigation in more depth. Cobra has been warning us for years about the energy and plasma scalar devices that can negatively influence and harm our physical bodies. The Chimera Group uses these devices to attack Lightwarriors and Lightworkers by influencing their body functions, disturbing breathing and heart pulse. The Chimera Group also uses plasma scalar lasers to project thought forms into minds of Lightworkers, plasma infrasound to lower the frequency of auric membrane of Lightworkers and plasma ultrasound devices. It is the ultimate spying and surveillance machine. Uncovering and exposing the Cabal’s latest attempt to stop the work of the light hit a nerve and created an immediate backlash on their behalf. Basically now The Cabal ITSELF is claiming that “Cobra is The Cabal,” when in reality, Cobra is the furthest thing from the Cabal. Anybody who believes that Cobra is the Cabal is, quite frankly, a fool. If you believe such lunacy, it would be best to educate yourself on this topic prior to making unfounded accusations. If there is no danger to humanity at this point from the Cabal, and disinformation and lies are no longer permitted in this country, as the accuser who goes by the strange name, “One who knows” claims then, why CNN News site and all the other MSM websites were still filled with blatant “fake news” this morning? why not give us Disclosure now then? I’m talking about Disclosure of the extraterrestrial presence. ETs, both positive and negative, have been here for millions of years. If there is no danger to Humanity from the Cabal because the “One Who Knows” and his team have it now all under control, then why are wars still raging in the Middle East? Why are the banksters still taking homes from the people and running unchecked, stealing everyone’s money? Why is there still untold amounts of suffering everywhere and why are millions still dying of starvation if the Cabal is already under “Their” control? Where is the RV & GCR that the disinformation agent that goes by the “One Who Knows” claim will happen always “NEXT WEEK” or NEXT MONTH……why “next week” or “next month” never comes while the battle AGAINST the RV and GCR has been going on non-stop for the last 10 years? Why is this person, who calls himself or herself “One Who Knows,” (who has, in the past, made other malicious accusations) now saying Cobra is not spreading truth but is “fear mongering.” “One who knows,” doesn’t know much. All the promises and predictions made by the agent provocateur that goes by the name “One Who Knows” have never come true, though he claims to get his intel from the highest sources and from the Grandfather (whomever this is) himself! Wake up people, how many times do you have to be lied to, in order to spot a liar? Unfortunately, other disinformation agents have now taken this opportunity and are piggybacking to spread more lies about Cobra and his organization. 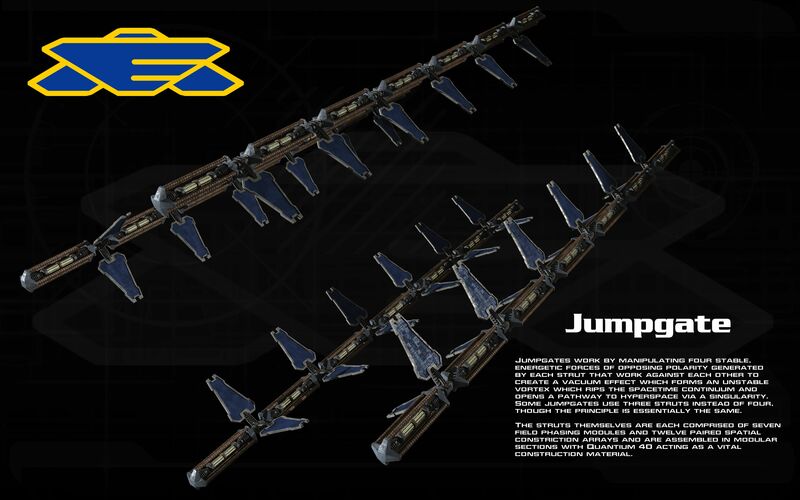 Other disinformation agents are saying that Cobra said that marijuana was bad because it had nanites. “How Evil that sounds right?” This claim is simply a wrong, incorrect paraphrase of Cobra’s words. Read Cobra’s last interview. You will see that he was only answering a question about marijuana. COBRA – Yes it’s true. Do you really think that the marijuana being specially nurtured and grown, produced, crafted and nicely packaged just for you by your CIA, FBI & MONSANTO friends is being carefully created having your highest good in mind? The bottom line is that all those so-called truth seekers or so-called blogs of the light need to start using higher discernment when posting articles with such vicious and unfounded accusations against sister organizations who have proven throughout the years their worth and dedication to the light. When you continue to post or interview people who have proven AGAIN AND AGAIN their information and claims are incorrect and untrue and their many predictions always turn out to be inaccurate — this is just purely irresponsible! By helping spread lies, knowingly or unknowingly, including on Youtube channels and blogs, you are making yourselves the opposite of what you claim to be. You are becoming the indirect channels and tools of the dark. This whole drama have taught me a sad lesson: Our community of “awakened” blogs and sites are really not much different that the “Fake News” MSM channels, we are just as sensationalist and as easily manipulated as them. At the very least, if you feel the adrenaline rush and the urge to be the first one to post “something” take the time to do your own independent research before hurting or staining some true Lightwarrior’s image just because the news looks “sensational” enough to be posted in your blogs or Facebook pages. The Resistance Movement is Pleiadians who are members of the GFL (Galactic Federation of Light) who are here to liberate this planet from the Chimera Group who control it. Dear friends, there is a war in the Heavens. You may be ready for the “Event” if you keep listening to those who are here to lovingly guide you and help you through the process by telling you TRUTH. Remember this: The truth may not always be pleasant to know, especially in these times. Once you know, you can prepare yourselves and remember how to allow God’s co-creative mind to assist you in making strategic plans of action for returning balance to all unbalanced circumstances. Truth is quite disagreeable and unpalatable at best. Do we wish to upset you or vanquish your joy? No–but truth will set you free and bring you joy. But joy alone will not bring you freedom. Posted in Cobra, Prepare For Change, The Event. Richard Nixon, in his effort to silence black people and antiwar activists, brought the War on Drugs into full force in 1973. He then signed Reorganization Plan No. 2, which established the Drug Enforcement Administration (DEA). Over the course of five decades, this senseless war has waged on. At a cost of over $1 trillion — ruining and ending countless lives in the process — America’s drug war has created a drug problem that is worse now than ever before. For years, those of us who’ve been paying attention have seen who profits from this inhumane war — the police state and cartels. “America’s War of Drugs” is an immersive trip through the last five decades, uncovering how the CIA, obsessed with keeping America safe in the fight against communism, allied itself with the mafia and foreign drug traffickers. In exchange for support against foreign enemies, the groups were allowed to grow their drug trade in the United States. Promising to be one of the most explosive television series in recent history, the show intends to expose the CIA’s connection to the crack epidemic. Night one of “America’s War on Drugs” divulges covert Cold War operations that empowered a generation of drug traffickers and reveals the peculiar details of secret CIA LSD experiments which helped fuel the counter-culture movement, leading to President Nixon’s crackdown and declaration of a war on drugs. The documentary series then delves into the rise of the cocaine cowboys, a secret island “cocaine base,” the CIA’s connection to the crack epidemic, the history of the cartels and their murderous tactics, the era of “Just Say No,” the negative effect of NAFTA, and the unlikely career of an almost famous Midwest meth queen. If the CIA trafficking cocaine into the United States sounds like some tin foil conspiracy theory, think again. Their role in the drug trade was exposed in 1996 in a critical investigative series “Dark Alliance” by Gary Webb for the San Jose Mercury News. The investigation, headed up by Webb revealed ties between the CIA, Nicaraguan contras and the crack cocaine trade ravaging African-American communities. Going even further down the rabbit hole, the History Channel will address how US involvement in Afghanistan turned the country into a virtual heroin factory and how the drug war empowers cartels. The final chapter of the series examines how the attacks on September 11thintertwined the War on Drugs and the War on Terror, transforming Afghanistan into a narco-state teeming with corruption. It also explores how American intervention in Mexico helped give rise to El Chapo and the Super Cartels, bringing unprecedented levels of violence and sending even more drugs across America’s borders. The reason why the drug war actually creates a drug and violence problem is simple. And those who profit most from the drug war — drug war enforcers and cartels — all know it. When the government makes certain substances illegal, it does not remove the demand. Instead, the state creates crime by pushing the sale and control of these substances into the illegal black markets. All the while, demand remains constant. However, the illegality of drug possession and use is what keeps the low-level users and dealers in and out of the court systems, and most of these people are poor black men. As Dr. Ron Paul has pointed out, black people are more likely to receive a harsher punishment for the same drug crime as a white person. The system knows this too — as the very existence of the police state is dependent upon the drug war. When drugs are legal, there are far fewer doors to kick in, fines to collect, profit prisons to fill, and money to steal. When drugs are legalized, gang violence drops too — drastically. Not only does it have a huge effect on the localized gangs in America, but the legalization of drugs is crippling to the violent foreign drug cartels too. This is why the Free Thought Project and other open-minded groups all advocate bringing this bloody and criminally ineffective drug war to a sudden and grinding halt. Hopefully, the History Channel’s new documentary will push others to question drug laws. Hopefully, the documentary wakes people up the idea that legality does not equal morality and that government force, via kidnapping, caging, and killing, is no way to solve an addiction problem. Hopefully. I concur with this Nullify proclamation and do state it to be my declaration of non consent as well. But things changed… it’s been over two years since this website got off the ground, and the EVENT still hasn’t happened. Instead, things got weird – really weird – and very dangerous. Over the years we’ve learned more and more about the extent of our energetic prison on this planet. The archons and chimera have been thorough – I will grant them that – but what they have done to us is beyond f%$#ing evil. There are two classes of “Non-Cabal” people on this planet (starseeds/lightworkers/lightwarriors vs. everyone else)… and the archons/chimera know more about who and what each person is than we do about ourselves. How “they” treat the ‘starseeds’… is beyond comprehension and lies completely outside of any sense of morality. They view starseeds only in militaristic terms – as ‘prisoners of war’ or ‘bait’ designed to maintain a tactical advantage in a war they are destined to lose due to the base fundamental metaphysics governing reality. This torture grants them nothing long-term – it is only a stalling mechanism with no real purpose over the ultimate time horizon. The primary objective for all of us is to end this “millions-of-years” horror. 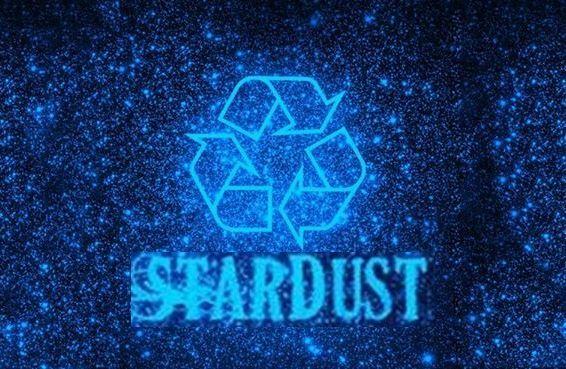 This madness must end and will end on Earth… when it ends is based upon the free will choice each of us (starseeds) makes individually. I myself and choosing to end this madness as soon as possible, and hope each reader agrees and acts accordingly after completing the article. It’s apparent that over the millions of years of their reign of terror that they’ve thought of every possible ‘booby trap’ or end-game mechanism possible on planet Earth. Every leap of progress by the Light Forces leads to a new chilling Dark Forces tactic of the “You’ve gotta be kidding me!! !” variety. The meaning of the above sentence is quite clear, and people who do not fully grasp the implications of the Galactic Codex need to click on the URL above and read it ASAP. What is happening to many awakening individuals – myself included – is heinous beyond belief. If my understanding is correct, outside of Earth, use of these weapons against awakened individuals is a criminal offense of the highest order. It is one thing to abuse a person who implicitly or explicitly consents to being tortured… that person’s free will – more correctly that SENTIENT BEING’S FREE WILL – is not being violated. But to torture a non-consenting person… that is an extreme violation of the Galactic Codex. Resisting this is how we can stand our ground in a manner which is legally defensible to ‘the rest of the galaxy’. Admittedly, most of the legal systems on Earth are corrupted and/or controlled by the Cabal… but if we declare explicitly that “We Nullify Consent to This Torture”… and ENOUGH OF US DO SO… it will give the Light Forces more latitude to intervene on Earth on our behalf. Yes, some of us are experiencing brutal and literally crippling or life-threatening attacks. I myself am on the edge… and those who are aiding me are being attacked as well. Even if millions of us declared “I NULLIFY CONSENT TO EXOTIC WEAPON ATTACKS”… it is not a guarantee of immediate freedom from the Cabal. But each of us speaking with our innermost conscientiousness will make a difference and will be heard by the Light Forces. I understand there will be skeptics reading the words above.. to those persons, I say “Is humanity extinct or under totalitarian control?” We are not… because just enough persons declared their sovereignty to avoid the worst-case scenario from happening. It may seem silly… and if it does to you… simply stop reading and never come back to this website until you are willing to take these words seriously. Continuing… I ask each and every one of you reading this to go deep within and declare your sovereignty and nullify consent to these attacks – whether you are directly experiencing them or not. All of us on the surface of Earth deserve to be free of this torture – just as all of us deserve the right to not just survive but to thrive. We have the right to be happy and to lead prosperous lives without harming other living beings – moreover, the technology already exists to make that a reality. But not only is this positive technology being blocked… EVIL technology is being used to keep us down or worse. If you’re willing to go through the work of a Facebook post search, find my post on April 1, 2017 that starts with the sentence: “To all lightworkers & lightwarriors…” at the link above. I am not afraid to admit my own frailties as a lightwarrior (I’m too intrinsically angry to be a lightworker… sorry!). 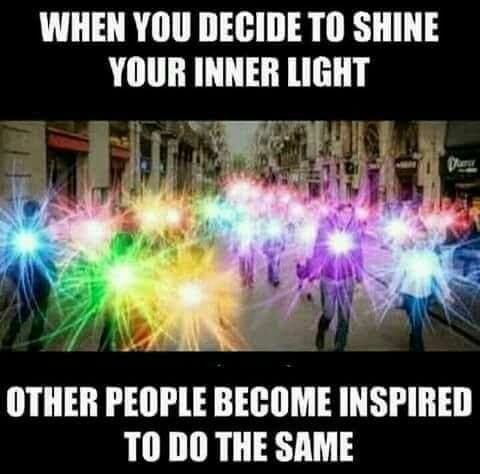 I post these things because I want other lightworkers and lightwarriors to feel comfortable sharing their stories publicly. It was a tough choice to share the above… but I did so because I know (and knew) that many people were suffering like I was. Now that Cobra’s posted his “Situation Update” in the first link on this article, I now know that others have been suffering far worse than I have been. Frankly, I feel lucky to have “only” been hit with weapons designed to make me depressed and suicidal (at times). This phenomenon has been occurring for 25 years… so it is not new for me. Now I know that 100% of my desires to end my life come from external sources. This knowledge is actually greatly empowering – it tells me that at my core – my ‘true’ self – these thoughts and feelings are not my own. If these thoughts and feelings are external to myself – then that gives me the power to nullify consent and to reclaim my sovereignty as a being of light. By stating this, I mean I wish to improve the lives of not only myself but all others around me (physically and virtually). These attacks on me are not my true self – but rather are the result of exotic technologies designed to fool me into a state of confusion… and consent. I know better now. I nullify consent, and ask all of you to do the same. We ALL deserve the right to be happy and prosperous on this planet. The EVENT will make this a reality. We must consciously and vocally choose the path which will make not just your life better, but all of those around us. It is time to verbally call out these attacks, and state to all Light Forces (both physically incarnated as well as non-physical beings) that you reject these attacks on your sovereignty. I NULLIFY CONSENT TO THESE ATTACKS. I cannot guarantee much, but those words will be heard and your voice will matter on all planes of existence. We deserve to enjoy our lives. Victory of the Light is NEAR! Let us claim our sovereignty! Out of all of the movies, television shows and other forms of media used to disclose various truths to the public this show has to be the crown jewel. It has almost everything. The solar flash, the operations to liberate Earth, the Cosmic Anomaly, the Jesuits, super soldiers, the Resistance, the Galactic Confederation, a secret space program, Blue Spheres, Ascended Beings, the Illuminati/Freemasons and much more as you are about to read. I took 9 pages of notes and binge-watched 4 seasons of this show with 22 or 23 episodes for each season. I couldn’t believe how many dots were connected and how information-dense this show was with each passing episode. As you will see someone deep within-the-know was feeding the creator/writer of this show very high-up information and intel. I found the easiest way to organize all this information would be to alphabetize it and organize everything by category. I have pictures and videos of everything that I thought was significant enough to record and document. First I will provide a synopsis to the show to give the readers a baseline idea of what the story line is. The show takes place on a 5 mile-wide Earth-based and taxpayer-funded space station that acts as an intermediary for other E.T. races to come and create peaceful and diplomatic relations and trade, kind of like our moon. It is located in a neutral area of space and acts as an officially recognized embassy by Earth and by the associated non-terrestrial beings who are referred to as ambassadors that are appointed to represent their governments. It is the result of a devastating Earth-Minbari war that took place in in the recent past. 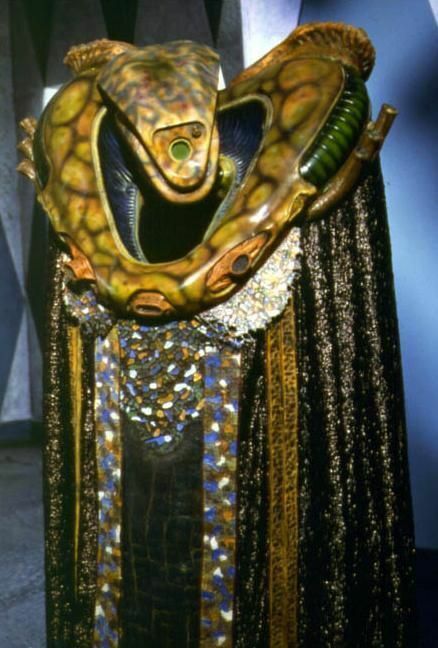 Beings that call themselves the Vorlons use Organic Technology (the ships are alive) and exist inside encounter suits to contain/hide their true form. In one episode the being ambassador Kosh left his suit to save the captain of the crew and all of the beings that saw him saw their version of their religious leader; Jesus and so on. Kosh once said he couldn’t leave his suit or else everyone would recognize him. This gives more credit to the idea that we create our realities and the higher beings identify with what we believe and take that form in order not to frighten us upon contact. It was discussed that these higher beings can break off a piece of their consciousness and put it into other organisms. This would allow them to travel the cosmos hidden, being the eyes and ears of the being. One of the CEOs of one of the largest pharmaceutical corporations in the show had admitted to creating a virus that would infect and suppress the abilities of as many telepaths as possible. The same company created an antidote that the Telepaths would have to take everyday or they would die. This idea is similar to many we hear about biological weapons being used to depopulate the planet by 90% and leave the rest as slaves. Later on in the show the Earth president succumbs to the control of those behind-the-scenes and the Babylon crew are forced to breakaway from Earth. They form an Alliance with the other E.T. races to combat the threat coming from Earth which used advanced technology they received from the negative E.T.s. This later turns into the Resistance as you will read further on. At one point the captain used the code word Abraxas to access a nuclear bomb which was used to destroy an artifact located in space that opened a doorway into another part of the Universe that would allow very malevolent beings to enter and cause all kinds of havoc. Per Wikipedia the name Abraxas is assigned to what is called The Great Archon. I would also like to note that the House of Abraxas was given to the genocidal family depicted in the movie Jupiter Ascending. The name of the space station is Babylon 5. Nothing in this show has been added or chosen arbitrarily so I was trying to figure out where they came up with this name. After a little research I found that Babylon was the birthplace of what we now know as the Illuminati. And when I tried to figure out why they chose 5 I figured it might be the antithesis to 6 which is a number that the Illuminati uses regularly and we know how important 5 is to sacred geometry. These are just theories, I am not 100% certain of these ideas. This part of the show was extremely significant because one of the main characters, Londo Mollari, was, I believe, depicted as being a representative of the people that really run things on this planet. Their names and city locations are all Italian sounding and they refer to each other’s families with House in front of it; House of Mollari, House of Cotti. Cobra has been telling us for a while now that the Black Nobility Families exert a lot of control over the operations of Earth and that the Rothchilds are on the next tier down from them. I would also like to point out the black sun-looking pin on Londo’s jacket. We know from various sources and whistle-blowers that these people worship the black sun AKA the Galactic Central Sun. In the show they often refer to their acquiring power as their ‘Ascendance’. One of the leaders who was eventually assassinated was a genocidal maniac and believed what he was doing was for the good of their people and that he would achieve godhood. 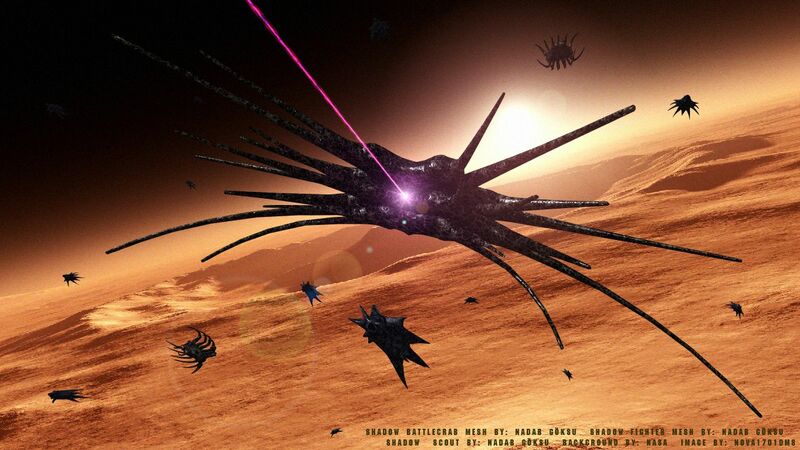 It is interesting to note that the Centauri have fangs. This was also depicted in Doctor Who when he time traveled to Italy only to find the royal families there were using humans as sources of energy and sucking their blood/energy. I believe someone in-the-know, from the 1990s gave the writer of this show this material to be disclosed. We just recently read from Benjamin Fulford’s intel post (4/12/17) about the 13 genocidal Italian Black Nobility Families that control everything. “Thayer Watkins, a faculty member at San Jose State University, is one of many scholars to have covered the intriguing phenomenon of “cargo cults” that formed in some of the South Pacific islands. At one point the government barged into the T.V. networks and took control of the broadcasts. They began threatening and even killing those who opposed them and were forced to feed propaganda to the population. During this capture of the media a man was able to get out a message on live T.V. before the Cabal took over and said there are things they want to say but are not allowed to and that they are being fed lies and propaganda. Earthgov was finding journalists and imprisoning them for speaking out. Sedition became a very big deal and many were captured and imprisoned in the show. A play on words was used in order to subvert law and initiate martial law which was successfully done. Earthgov used high-level people in positions of power to manipulate public opinion. 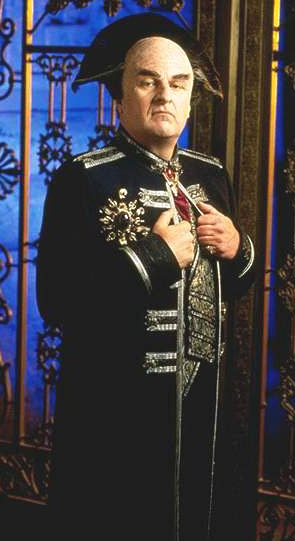 In the show they used a Harvard professor in order to get people on the Cabal’s side to resist liberation by the Resistance and vilify the leader of the Resistance who was the captain of Babylon 5. Psy Corp, which is a formal and government-controlled program for training Telepaths, introduces the concept of compartmentalization so that no one gets the entire picture of what is going on. This organization runs several unacknowledged programs involved in enhancing telepaths for military use and the population that are born as telepaths are forced to become part of the organization or be given drugs to suppress their abilities. There are several scenes where it is admitted that corporations are the ones really calling the shots here on Earth and have been for a long time. There is one scene where the government/corporation refuses to pay the workers on Babylon 5 a fair wage, upgrade their equipment and hire enough people to maintain a safe work environment. At one point there is a mandate that requires the senior staff to start paying rent for their quarters. The CEO of a billion dollar pharmaceutical company had been exposed as buying a Senator’s reelection with the helps of 2 dozen lobbyists. This company was one of the major chemical suppliers for Earth. You can bet they were probably involved in war also. It was also discusses that these Earth corporations and their taxes had sucked the colonies in other star systems dry. There are a few occasions where the Dark Night of the Soul journey is emphasized and put in the fore. The ship’s doctor goes through this during the peak time the Resistance Movement is battling Earth and Shadow Forces who were preventing the liberation of the planet. It is my belief that these two things were shown simultaneously because the writer or people behind the writer wanted us to know that this would happen and that everything would work out. After the Resistance Movement closed in on Earth the President had shot himself in the head and left a note on his desk where he circled various letters which read ‘Scorched Earth’. Right after that the Earth space weapons/particle beams had been activated and pointed right at Earth. They couldn’t be hacked as they were locked out by the President. Before this though the President had created a fleet of semi-organic craft to send out to destroy the Alliance and the captain in order to maintain control over Earth. It was used with the help of the Shadows. The captain of Babylon 5 was planning on using his ship to ram into the Earth space weapons and stop them when at the last moment a Minbari ship came out of hyperspace and shot it down, saving Earth. In a speech given by Delenn and others after the defeat of the Cabal, they describe many times what I believe to be the Galactic Codex which was published on Cobra’s and other’s blogs. There is much talk about mutual cooperation, peaceful relations and trade, respecting of each other’s sovereignty and maintaining a balance of progress, evolution and love among the members in the Alliance. Earthgov, as the government is called in the show, was planning on the organizing and executing a false flag attack on the Resistance in order to turn public opinion against those who were trying to liberate them. There are scenes where it is discussed that humans have been genetically altered by both Vorlons and other races. Many times the ideology of the Illuminati is written into the script and is even made part of the tenants of E.T. beliefs. These being that the weak will always die out and the strong will conquer. That there are only two types of beings in the Universe, the conquerors and the conquered. The captain, after doing some of his own research, discovers there is an organization called Bureau 13 that controls things from behind-the-scenes. They are very powerful and they have eyes and ears everywhere. Bureau, being the French word for table, is an interesting choice, to me indicating the group is likened to the Rothchilds, who are French and the number 13 being of occult significance to them. There is a race of beings that comes aboard Babylon 5 which calls themselves the ‘Lumati’, which believes in Darwinism and the ultimate splitting of all beings into two groups, the strong and the weak. The Minbari have the most beautiful cities with buildings made from crystals. The main character Delenn tells of how beautiful the sounds were when the wind brushed up against the buildings. I believe the writer or people behind the writer of the show were showing us where these symbols originally came from and that they are not something to be frightened of and that they shouldn’t be used for nefarious purposes like the Cabal have done with them, sadly. The Minbari, who is allied with Earth, always made sure to express and share spiritual and ancient knowledge. They often stressed the importance of the numbers 3, 6 and 9, as Tesla did. The Minbari had a Council of 9 which presided over matters concerning the people. 3 from the warrior caste, 3 from the religious caste and 3 from the worker caste. In one scene there was a man who shared some spiritual information with the chief of security. He said our thoughts form the Universe and that they always matter. He also went on to say that in order to escape the situation they were in, their mind must be in a certain state of purity. The man said that he remembers his connection to the Universe and that most people don’t, they have forgotten who they are, that we are the Universe and that the Universe is resetting itself. Everyone will be perfect. There was a scene where there was a man in a cave talking about how the Universe began with a word (a sound/frequency), he questions which came first, the word, or the thought behind the word. There is a scene where a man talks about leaving his crystals out in the sun to charge. 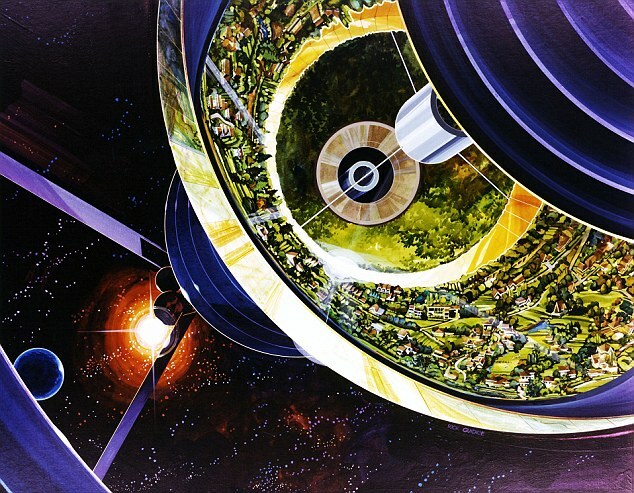 There exists a separate Mars Colony that is not allied with Earth. They appear to be at war and in constant conflict. There were attempts made to bring the two together that ultimately were semi-successful. This is also depicted in the new-ish Sci-Fi show The Expanse, which is on its 2nd season as of the time of this writing. As part of Earth’s judicial system, prisoners who were convicted of extreme crimes against people were given mind-wipes and implanted memories in addition to doing community service to make up for the crimes they committed. At one point there was a clergyman who started seeing horrific scenes and hallucinations and learned that he was a murderer in his past and that his mind had been wiped as part of his sentence. The memories were not gone but were suppressed and they were triggered telepathically by others who wished him to become what he once was. At one point the captain is captured and various techniques are used to torture and break his mind and body. It felt very much like watching an interrogation from Nazi Germany. They starved him, fed him propaganda, used various drugs and mind-control techniques in order to break him. They used these horrific techniques on non-terrestrials also. There is a scene during the last part of the 4th season where the doctor from Babylon 5 is programmed (he is brought back as a hologram) to include human experiments in his dialogue and research and discusses experiments being done on children. There was a group of people that called themselves the Night Watch whose symbol was that of an eye and pyramid. They kept an ‘eye’ on things and didn’t hide who they were. They were created by the President and gave them great power which they abused later on in the show. The entire direction of the show changed to defeating these powerful and ancient dark beings called the Shadows. They were incredibly evil and powerful. These Shadows were battled by the First Ones, who were one of the oldest beings beings in the Galaxy, these turned out to be the Vorlons. I equated the Vorlons with the Galactic Central Race. The Shadows end up influencing the president on Earth and cause him to make dictator-like decisions to concentrate power to him and Earthgov and control humanity. They use the media to brainwash the public to get them on their side. The Shadow’s ideology includes seeking out Elite members of society, telling them they are special and that the rest of humanity is weak and should be culled. Their agenda include promoting Darwinism (who was a Freemason) and duality, that pain is a natural part of life. The President got involve with these Shadows and other negative E.T.s to help him obtain power. The Shadows were responsible for influencing President to order genocide of Telepaths. The Shadow’s greatest weakness, which took a while to figure out, was being in the presence of a Telepath. The Shadows became unstable and unable to fight when blocked by a Telepath. I believe this is a metaphor for people using their minds and their innate abilities to see the negative beings and their influence and become aware of it. These beings need absolute secrecy in order to do what they want. Once we become ‘aware’ or use our minds, the jig is up and they are exposed. The Centauri Emperor (who I believe are the Italian Black Nobility Families) made a deal with the Shadows and that if he did what they asked then they would give him powers and make him a god. This is the ideology of the Illuminati. There are many scenes and episodes that focus on the cruel and dark aspects of the ‘government’ and corporations that use trauma, drugs and mind-control techniques to create the perfect and totally obedient soldier. One such person was Talia, a certified Telepath with the Psy Corp. She appeared to be very benevolent and one who would carry out her duties with no problems. It turns out that she was deeply programmed as a sleeper agent to infiltrate and kill a target upon Telepathic code word activation. During the beginning of the show there was one high-level Telepath who was given drugs and other substances in order to enhance their abilities. He went on to say that the Psy Corp wanted him to be able to control things down to the molecular level. This ability would be used to strangle people from a distance or squeeze their arteries and cause a heart attack or stroke and leave no trace. The higher being Kosh had Delenn ask him if she could join him in the operations to defeat the Shadows. He agreed and told her she would be tested to see if she would be able to handle the battle with those beings. She underwent an interesting trial. The captain joined her later and they both ended up passing, but not before possibly dying or answering a question incorrectly. 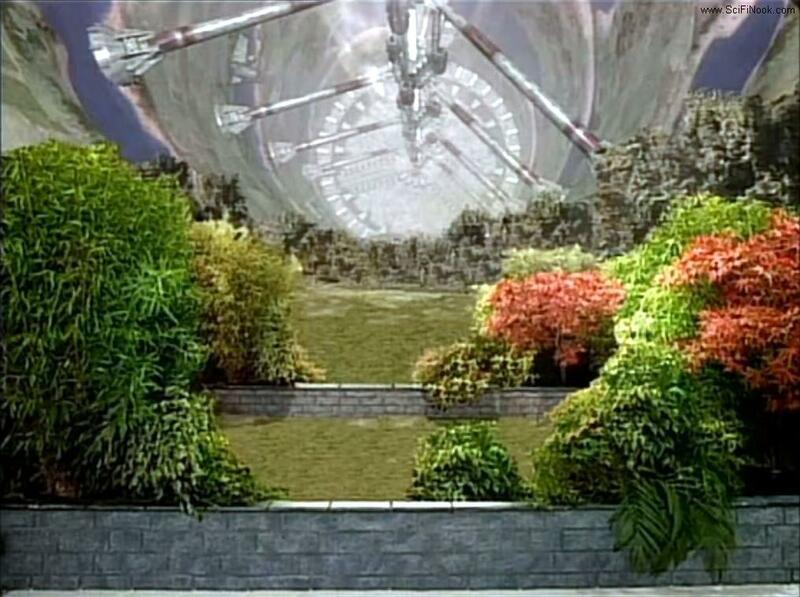 There was a couple episodes that depicted a situation where the previous Babylon station, Babylon 4, was stuck in some type of Tachyon time distortion. The crew went in to help the stranded crew and ultimately became and fulfilled a 1000 year old prophecy which they had created. I know, it’s a head ache thinking about it…They used technology in order to keep them anchored in their time. Interestingly I had a dream about similar technology I used during a crash I was in or saw. Except we had rings that made the passage of time flow the same for all of us. The crew of Babylon 5 had small saucer-shaped devices that they used. “Had a dream where I saw some E.T. friends crash and try to get us to help them with their situation. There was a problem with the area as time and space must have warped because certain technology was required to move to various areas. There were rings that allowed the pass of time to remain the same throughout these areas. I got a ring or something else that helped with this and there was a big problem. There are scenes similar to what we see from Stargate SG-1 and Star Trek where humans are merged with technology to create a type of Borg-being where they can control technology and integrate their biology with. This was discovered to be Shadow technology. There were two groups involved in what we would know as a Resistance. The first being one that developed by the senior crew on Babylon 5 and the other being one that is underground on Mars. The Babylon 5 Resistance consisted of E.T. groups which didn’t really care to join forces in the first place and the crew found it incredibly difficult to keep the Alliance alive. Similar to what we hear being the situation on Earth. The various beings in the show had their own agenda. But the Resistance was very large and it turns out it existed on Earth involving many parties. The Resistance could only liberate Earth if it went after Mars first, which they proceeded to do and succeeded. 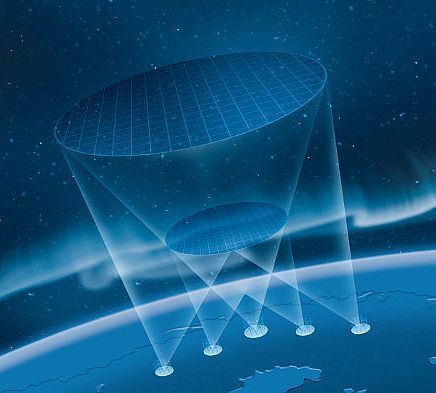 We are hearing similar intel in that the Alliance/Galactic Confederation had been closing in on Earth in the operation Compression Breakthrough. The Resistance closed in on Earth finally, defeating layer after layer of defenses. Many brainwashed Earth soldiers and captains defected when they met with Babylon 5 forces. They were told by Earthgov that Babylon 5 were traitors and wanted to turn them into Minbari. At one point the crew of Babylon 5 created a broadcast channel called Voice of the Resistance which reported truth and honest information about the operations and goings on of the Babylon 5 station and near-by space. It was created in order to combat propaganda being played on Earth. Could this have been a precursor to Cobra’s blog? Perhaps! For me personally this show was a huge validation of many things I have learned since the beginning of my awakening. The Ancient knowledge along with other intel and information we have been getting for a while now in addition to many other shows that appear to have someone benevolent giving us what we need to be able to shake off the shackles of this quarantine and get ourselves free. I hope this article has been helpful for you the readers and anyone you happen to share this with. I am certain I missed some things as this show was incredibly information dense and I don’t think I could have possibly gotten everything. But I believe I got the most important stuff out. Thank you all for reading and much love! Posted in The Event, Truth Earth.